Bad guys, guns and bullets mixed with the game play of a chain reaction game. 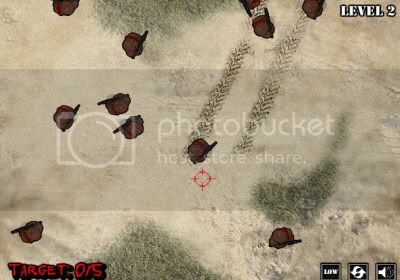 Make use of your special weapons to spawn a chain reaction of bullets which keep multiplying after hitting any target. Be careful not to hit any hostage, that could be around.